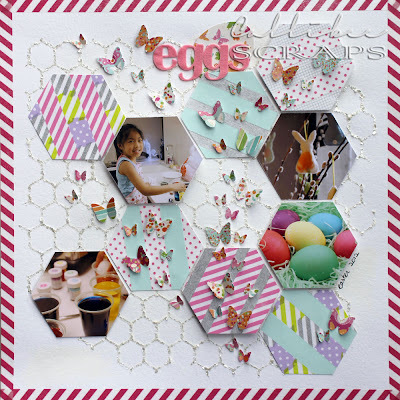 I know that Easter has been over for a month and I know I already did an Easter layout last month, but I had to play around with the washi tape that I got in Japan and the colour combinations I wanted to use lent themselves nicely with the Easter photos that I have. These photos were taken from this year's Easter. Since we were on the cruise until the day before Easter Sunday, we didn't get to do an egg hunt, hence only a few pictures of dyeing eggs and the simplest of titles. I'm loving hexagons at the moment. They are part of the 2012 trend, as is washi tape. So why not incorporate the two? See the chicken wire hexagons on the background? It's a tongue in cheek take on the title "Eggs". 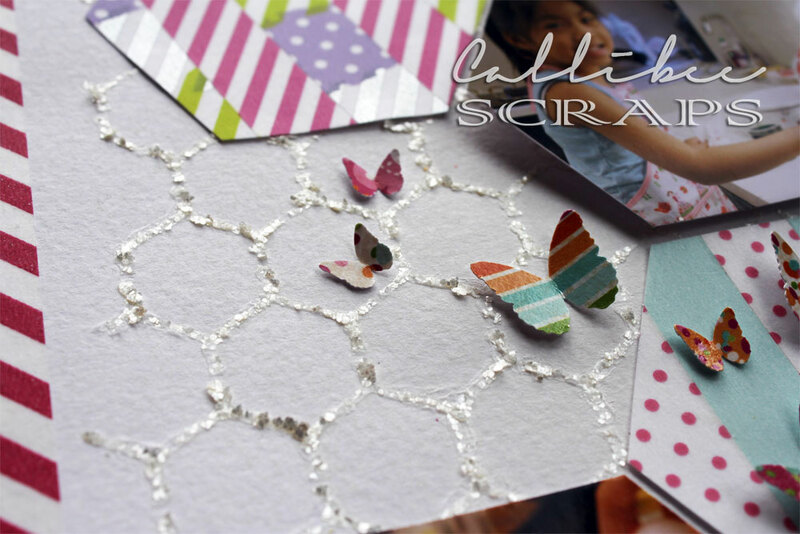 Chicken wire pattern made with a stencil template and pearl mica flakes. 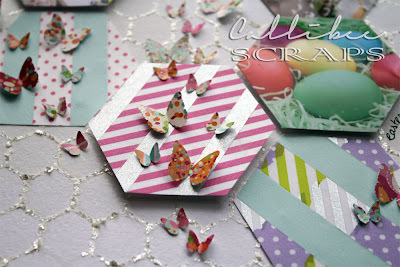 Large hexagons were covered with strips of washi tape as well as the border around the page. Love the rabble of butterflies flittering all around the page. Trying to escape from the chicken wire, I guess.